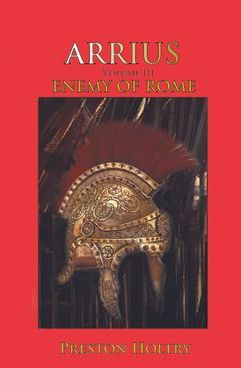 The Arrius trilogy follows the exploits of Marcus Junius Arrius, an aging Roman centurion serving in Judaea and Britannia during the second century of the Roman Empire. 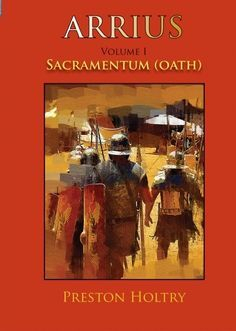 Focused on duty and his men to the exclusion of all else, Arrius is a loyal, battle-tested soldier; however, his core belief in Rome begins to erode following Hadrian’s brutal suppression of the second Jewish revolt in Judaea in 133/4 AD. 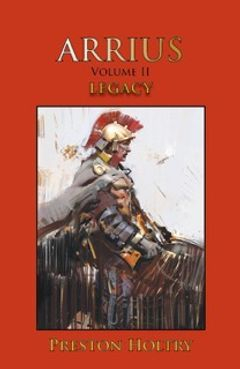 At first, Arrius does not realize he has changed, and when he does, it will be Ilya, a beautiful woman in Britannia and the mother of his son, who in time will be reason enough for him to turn his back on Rome. Marcus Arrius is the senior centurion of the XXII Legion, Deiotariana serving in Judaea and Britannia during the second century Roman Empire. Focused on duty and his men to the exclusion of all else, Arrius is a loyal, battle-tested soldier. Following Hadrian’s brutal suppression of the second Jewish revolt in Judaea in 134/5 CE, his core belief in Rome begins to erode. Although declared a hero of Rome for his exploits in Judaea after the war, he declines command of the Praetorian Guard for self-imposed exile in command of a fort on Hadrian’s Wall. It will be Ilya, a beautiful woman in Britannia who in time will be the reason to find greater meaning in his life than serving the eagle. At the fort called Banna in Britannia, Arrius begins the slow process of turning around a dispirited and somewhat ineffective Tungrian Cohort, made more challenging by the hatred and jealousy of Matius Betto the centurion he replaced as commander. It does not take long for Betto and Tribune Tiberius Querinius, Arrius’s superior, to combine their efforts to ruin Arrius. In time, Arrius gains the respect and loyalty of the officers and legionaries at Banna with the exception of a few disgruntled officers who remain committed to Betto. His malaise caused by the Judaean war dissipates as his relationship with Ilya deepens when she becomes pregnant. However it is Ilya who becomes the unwitting means for Querinius and Betto to accomplish their objective when her Selgovan heritage and relation to Beldorach, High Chieftin of the Selgovae Tribe, are revealed. Ilya and Joric with Arrius’s son leave Banna and go north to rejoin the Selgovae Tribe. Arrius is suddenly faced with the decision to choose between preserving his legacy as a Roman soldier or a future as a husband and father. Now an outcast and a fugitive of Rome, Arrius is not easily accepted by the Selgovae Tribe in spite of Ilya and his close friendship with Joric. Arrius works hard to make the Selgovi understand the inevitable slaughter that is about to happen when the tribe confronts the legions about to march north. In time, he is able to convince the tribesmen to change their individual style of combat to a more unified approach and avoid pitch battles in favor of skirmish and ambush. When Joric is killed early in the conflict, Ilya becomes queen of the Selgovi. By now, Arrius has won the respect and confidence of the tribe. The subsequent invasion by the Roman legions is made more problematic by disaffection among the tribes. When Arrius is captured by Tribume Querinius, it becomes both a rallying cry for the Selgovae Tribe and a turning point in the war. Although the victory is significant it is momentary as the tribe must accept the inevitable and make plans to flee north into Caledonia.